To celebrate the relaunch of The Whiskey Co-Op, Surry Hills’ bar Wild Rover will host three tastings in November courtesy of the folks from Overeem, Highland Park and Jameson. Each tasting will be put on in support of 663 to Zero, a charity run by Grandma’s Bar’s Mitch Harrocks to aid in the production of clean drinking water in Uganda. On Monday 27 November, Jameson Brand Ambassador Neil Flannery will showcase five whiskies from the portfolio, including the Makers Series and their recent ‘Caskmates’ collaboration with Sydney brewery, Young Henrys. 663 to Zero aims to provide 100,000 people with access to clean drinking water by the end of 2018 by setting up the manufacturing of a device called ‘Okuchumba Amaizi’ Mitch created out of sheet metal. 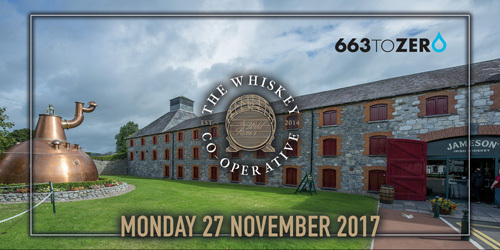 Attendees will be able to sign up to The Whiskey Co-Op on the night with $20 from the ticket price to taken off the first year membership.